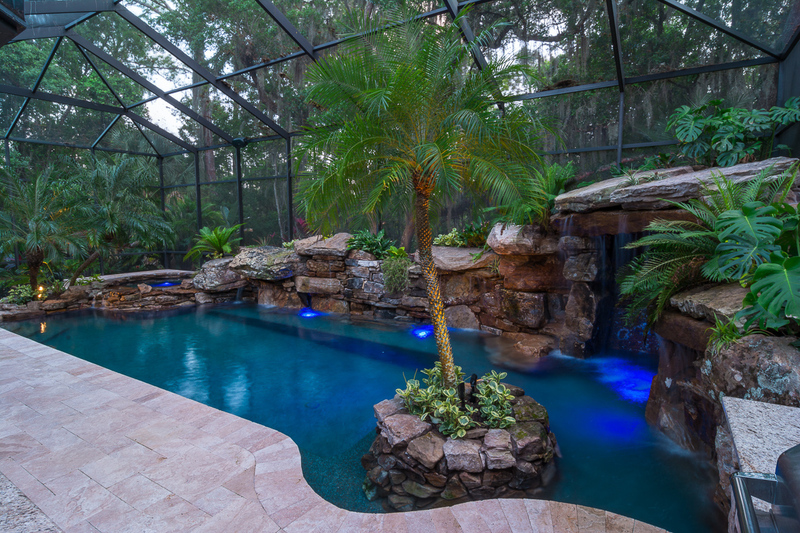 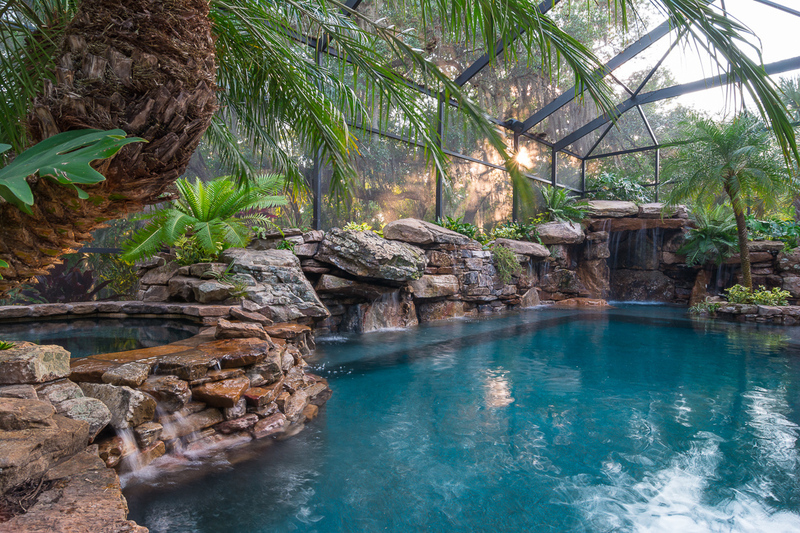 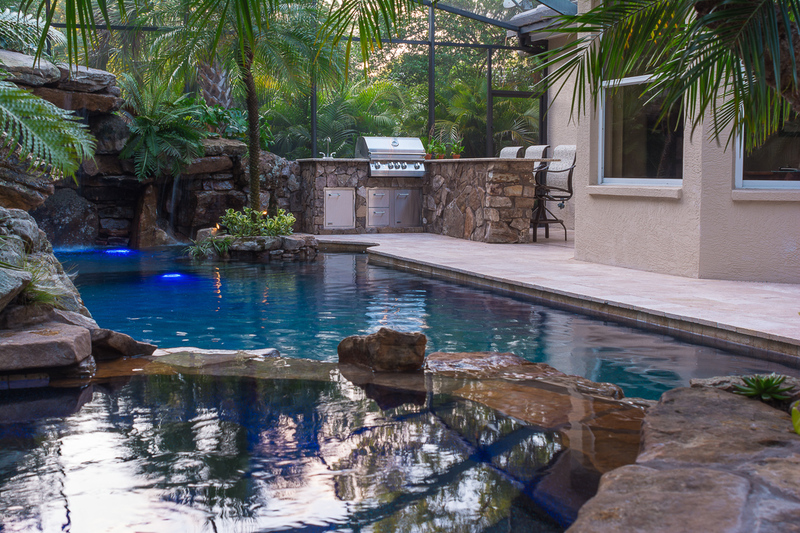 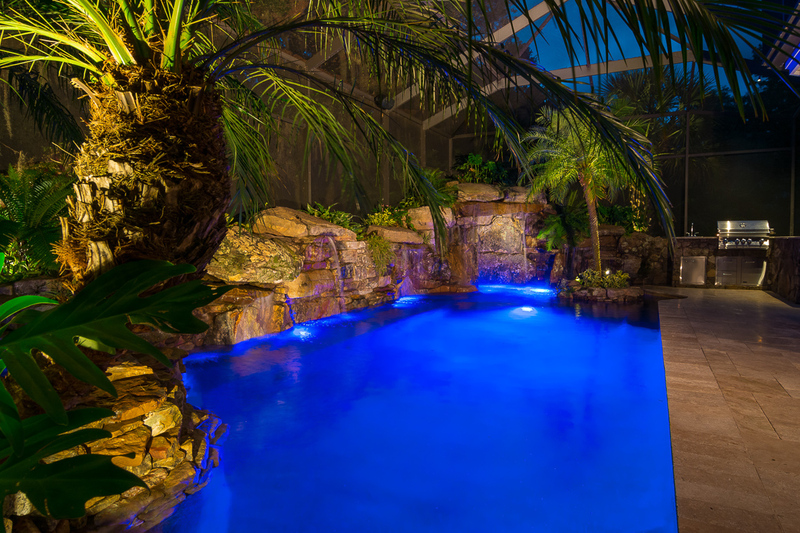 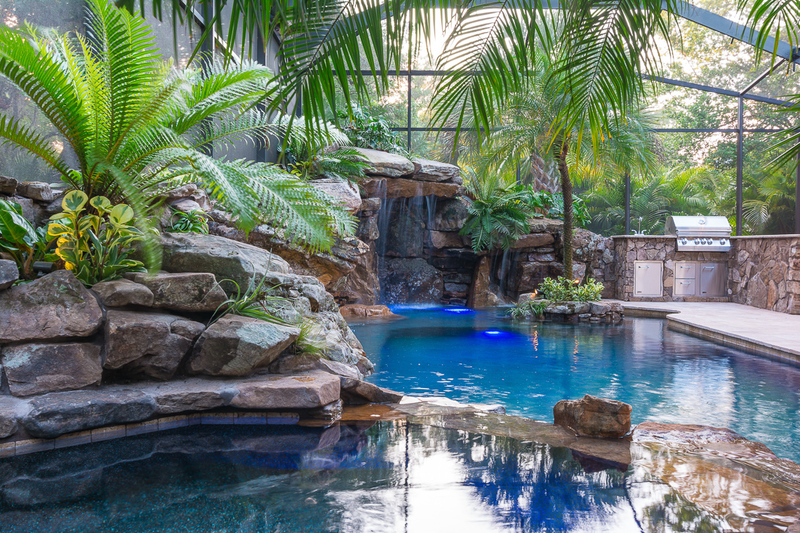 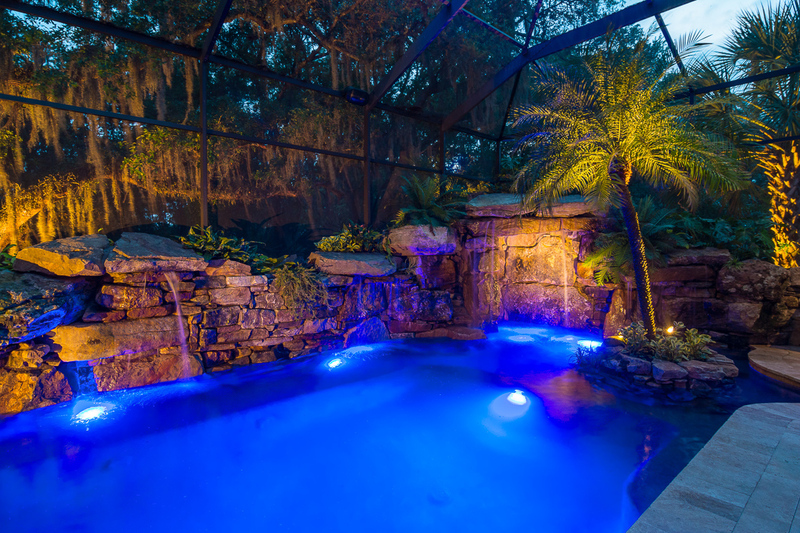 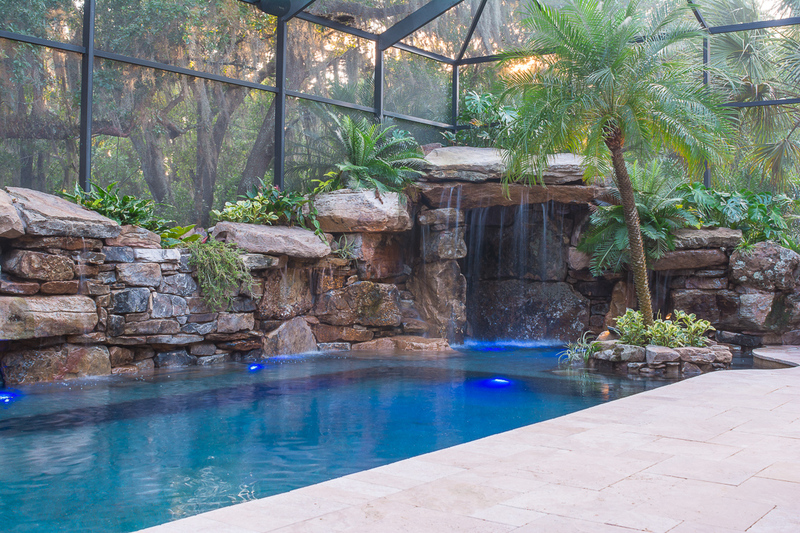 This full pool remodel project in Sarasota, FL came with a few specific requirements – use the existing pool, build within the footprint of the lanai cage, block traffic noise and be family friendly. 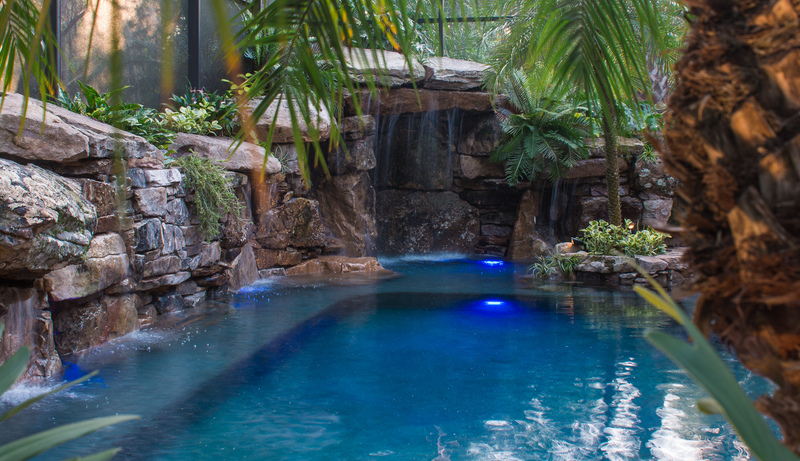 Lucas Lagoons delivered just that and more for the pool featured on Episode 5 of Insane Pools. 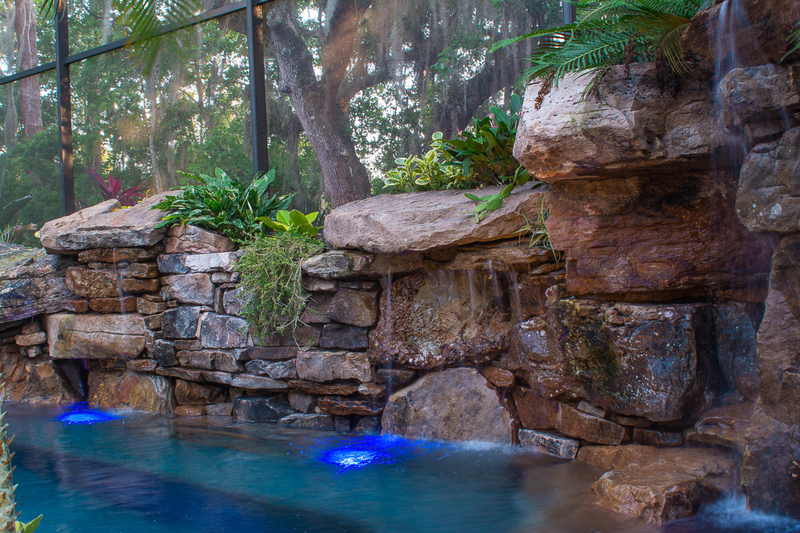 Using over 48 ton of Northern Tennessee Fieldstone, a 6 ft waterwall extends the entire length of the pool utilizing over 20 feeds to soften traffic noise and increase privacy. 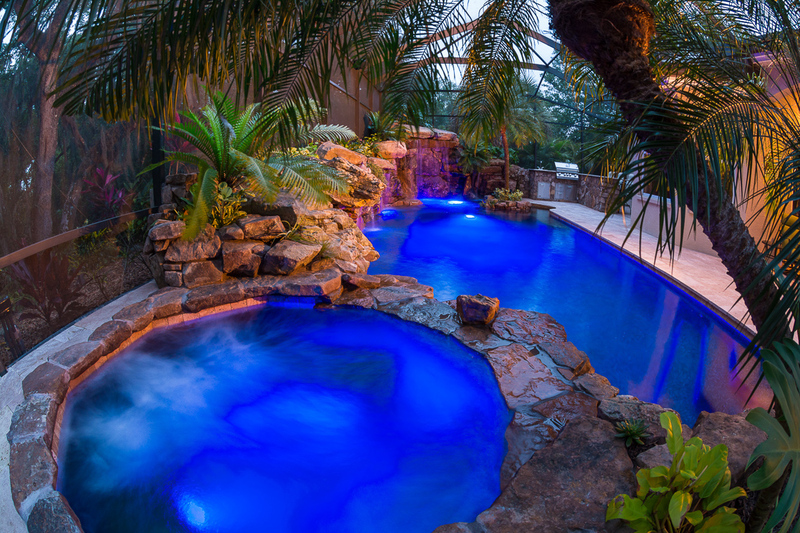 The existing pool was extended 10 ft, and 4 ft of unusable deck area became the grotto. 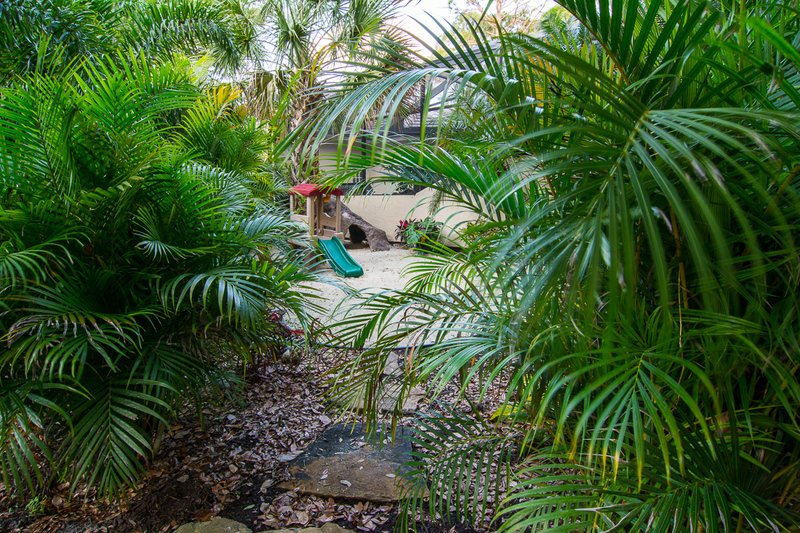 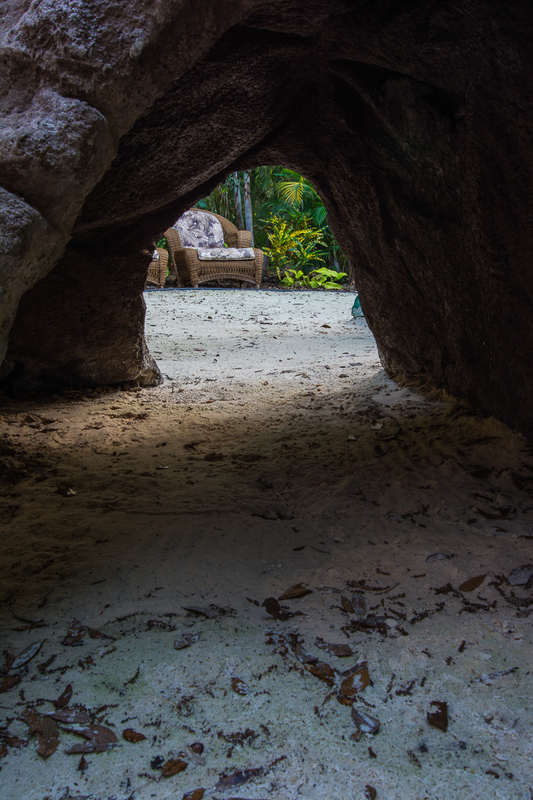 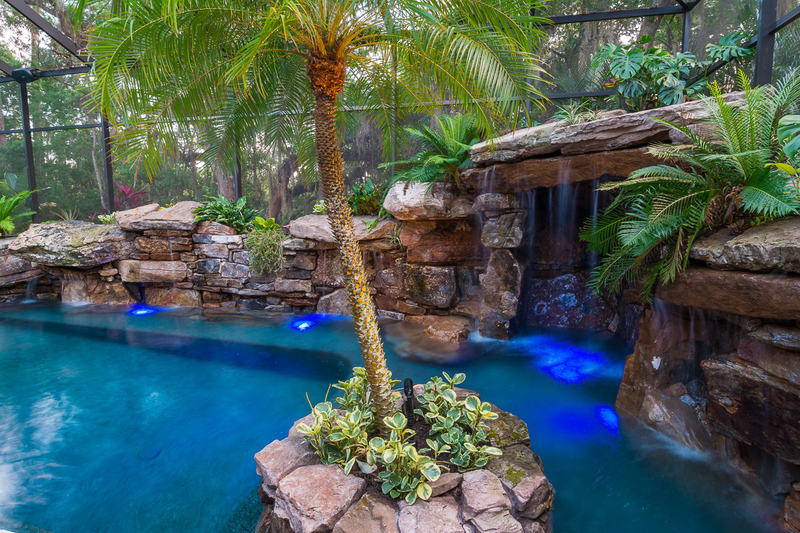 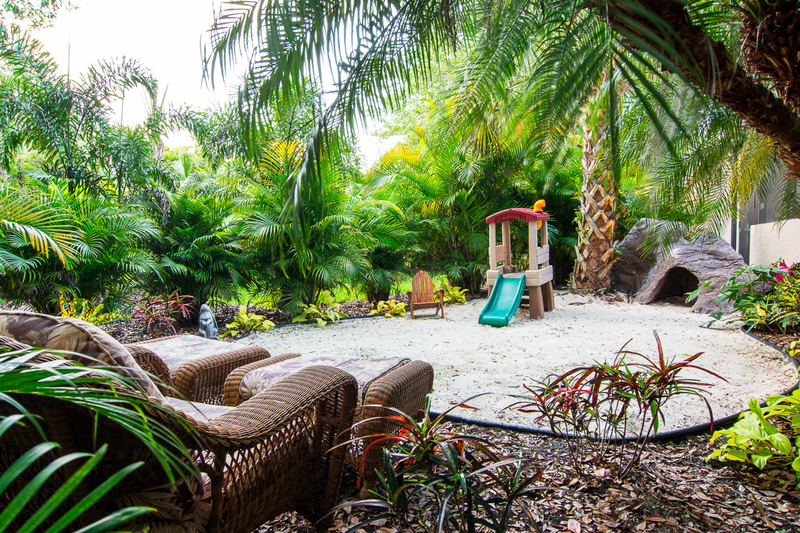 An outdoor kitchen was added to facilitate entertaining next to the large grotto and built in “palm” island.